Watched, manipulated, and framed for crimes he didn't commit, Reilly becomes a fugitive, making it next to impossible for him to uncover the truth while protecting his family. He's left with no choice but to risk everything to unearth secrets that would shake the country to its core—if he were ever allowed to get that far. Read THE END GAME and dive into Reilly’s most personal—and most dangerous—story yet. On a cold, bleak day in 1916, a mining pit in Siberia turns into a bloodbath when its miners attack each other, savagely and ferociously. Minutes later, two men - a horrified scientist and Grigory Rasputin, trusted confidant of the tsar - hit a detonator, blowing up the mine to conceal all evidence of the carnage. In the present day, FBI agent Sean Reilly is tasked with a new, disturbing case. A Russian embassy attaché seems to have committed suicide by jumping out of a fourth-floor window in Queens. The apartment's owners, a retired high school teacher and his wife, have gone missing, while a faceless killer is roaming New York City, leaving a trail of death in his wake. 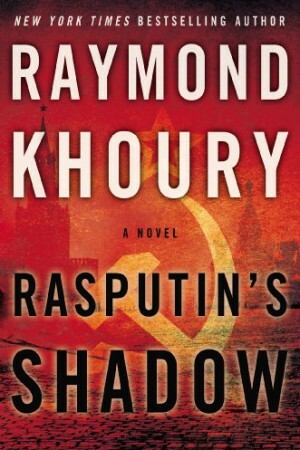 Joined by Russian FSB agent Larisa Tchoumitcheva, Reilly's investigation into the old man's identity will uncover a deadly search for a mysterious device whose origins reach back in time to the darkest days of the Cold War and to Imperial Russia and which, in the wrong hands, could have a devastating impact on the modern world. And two small words that would change everything—everything—about his life. 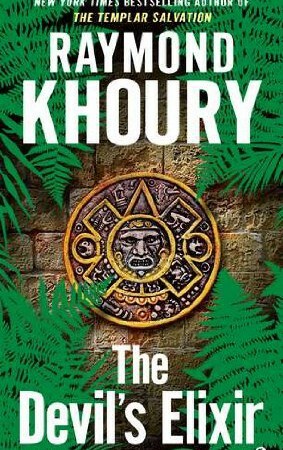 Without a second’s hesitation, Reilly is hurtling across the country to rush to the aid of his old friend, not knowing that he’s getting sucked into a deadly race—against the clock, against a vicious gang of kidnappers, against a brutal Mexican drug kingpin known only as “El Brujo”—the sorcerer—and even against his own government’s authorities—as he struggles to make sense of two divergent trails, one several hundred years old, the other as current as a heartbeat, that lead to a mysterious drug that’s capable of inducing a momentous experience that’s so shocking it could drag humanity down a whirlpool of pain and chaos. Reilly’s back—and The Devil’s Elixir is his most personal, intense, and gut-wrenching story yet. Constantinople, 1203. 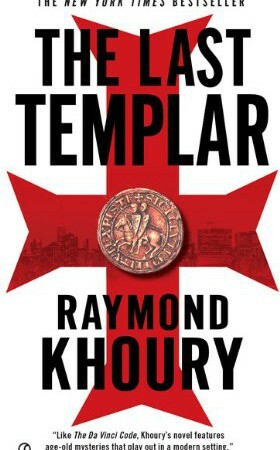 As the rapacious armies of the Fourth Crusade lay siege to the city, a small band of Templars infiltrate the imperial library. They escape with three large chests filled with explosive secrets - ones they will not live long enough to learn. Vatican City, present day. In the hidden archives of the Inquisition, FBI agent Sean Reilly has no choice but to violate the trust he has earned. A vicious terrorist has kidnapped Tess Chaykin, and the key to her freedom lies in this underground crypt, where a secret could explain the real reasons for the Templars' extermination and bring devastation to our world. When Christopher Thomas, a ruthless curator at San Francisco’s McFall Art Museum, is murdered and his decaying body is found in an iron maiden in a Berlin museum, his wife, Rosemary, is the primary suspect, and she is tried, convicted and executed. Ten years later, Jon Nunn, the detective who cracked the case, is convinced that the wrong person was put to death. In the years since the case was closed, he's discovered a web of deceit and betrayal surrounding the Thomases that could implicate any number of people in the crime. 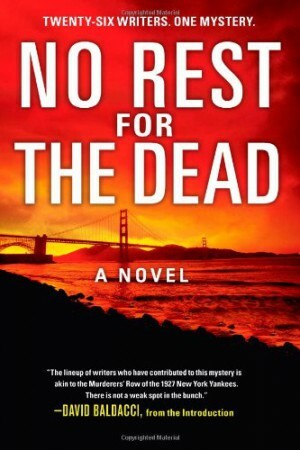 With the help of the dead woman's friend, he plans to gather everyone who was there the night Christopher died and finally uncover the truth, suspect by suspect. Solving this case may be Nunn’s last chance for redemption … but the shadowy forces behind Christopher’s death will stop at nothing to silence the past forever. It appears out of nowhere in the skies above Antarctica, during a live television news feed of a cataclysmic ice shelf collapse--a blazing sphere of light that shapeshifts and transforms into a mysterious symbol for all to see before vanishing into thin air. The world is enraptured by the event, and as it appears again and again in different corners of the globe, the question everyone is asking is: Is the symbol man-made? Is it of unearthly origin? Or, as some believe, is it a sign from God? The entire human race awaits an answer. But there are those looking for answers of their own. For TV reporter Gracie Logan, it is the story of a lifetime. And her search for the truth will lead her from Antarctica to an ancient monastery in the deserts of Egypt and back to the US and a mystery that she may not survive. For ex-con and reformed car thief Matt Sherwood, it is a chance to find the men responsible for the disappearance of his brother—and to redeem himself. In an unprecedented collaboration, 23 of the world's bestselling and critically acclaimed thriller writers will pair their series characters in an 11-story anthology curated by the International Thriller Writers (ITW) and to be published in June, 2014 by Simon & Schuster. 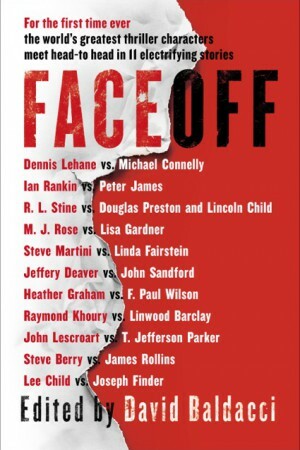 The stories in Face Off will feature such pairings as Michael Connelly's Hieronymous "Harry" Bosch joining forces with Dennis Lehane's Patrick Kenzie in the story Red Eye and John Sandford's Lucas Davenport teaming up with Jeffery Deaver's Lincoln Rhyme in Rhymes with Prey. All of the contributors are ITW members and the project will be edited by ITW member and #1 New York Times bestselling author David Baldacci, who says, "This is a once-in-a lifetime opportunity for readers. It's only through ITW that we were able to bring these literary legends toe to toe. I'm honored to be at the helm of this amazing ship." Senior Editor Sarah Knight acquired world rights to Face Off, the fourth anthology that ITW has published and the first with Simon & Schuster. Knight says, "This will be a treasure trove for thriller fans-it doesn't get any better than these writers, with these characters, all in one blockbuster book." S&S will publish on June 3rd, 2014, just in time to celebrate at ThrillerFest, the gathering of ITW that happens each July in New York City. Already, foreign rights have been sold in a dozen countries. Each author has donated his or her story and all of the proceeds from the book go to fund ITW, which charges no dues to its members. 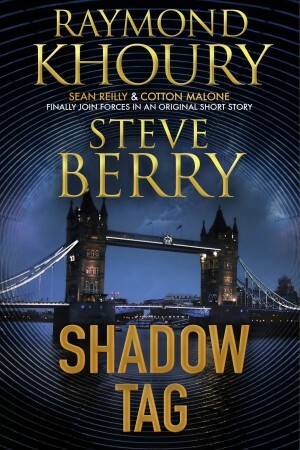 "It's part of what we do, as ITW members," said New York Times bestselling author Steve Berry, who will serve as managing editor working with Baldacci. 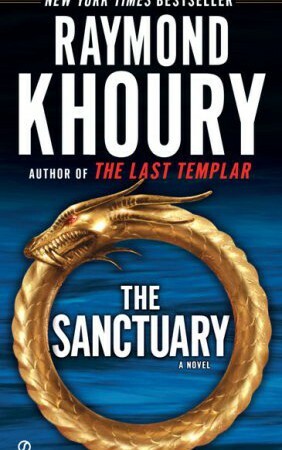 The full list of contributors is a who's who and includes: Linwood Barclay, Steve Berry, Lee Child, Michael Connelly, Jeffery Deaver, Linda Fairstein, Joseph Finder, Lisa Gardner, Heather Graham, Peter James, Raymond Khoury, Dennis Lehane, John Lescroart, Steve Martini, T. Jefferson Parker, Douglas Preston, Lincoln Child, Ian Rankin, James Rollins, M.J. Rose, John Sandford, R.L. Stine, and F. Paul Wilson. Naples, 1750. In the dead of night, three men with swords burst into the bed chamber of the Marquis de Montferrat. Their leader, Raimundo di Sangro – the Prince of San Severo – accuses him of being an imposter, and demands to know a secret he believes the marquis harbors. The false marquis resists and manages to escape, leaving behind a burning palazzo and a raging prince now obsessed with finding his quarry – and his secret – at any cost. Baghdad, 2003. An army unit tracking Saddam’s cronies stages a spectacular raid on a fortified villa and makes a horrifying discovery in its basement: a state- of-the-art, concealed lab where dozens—men, women, children—have died, the subjects of gruesome experiments. 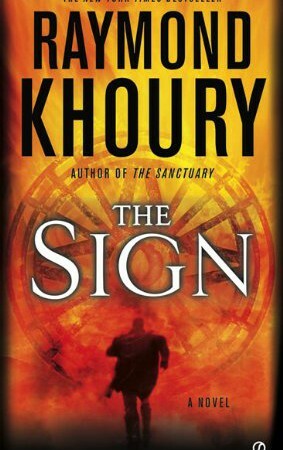 The mysterious scientist they were after, a man believed to be working on a bioweapon and known only as the hakeem—the doctor—escapes, taking with him the startling truth about his work. In one of his victims’ cells, a puzzling clue is left behind: an Ouroboros – the tail devourer – a circular symbol of a snake that’s feeding on its own tail. As the power of the symbol comes to light, revealing the centuries of mystery and pain left in its wake, one unsuspecting woman – Mia Bishop, a geneticist – stands at the center of a conspiracy that could change the world forever. From Baghdad to the chaos of a Beirut still reeling from a fresh war in the fall of 2006, to the lost villages of eastern Turkey and northern Iraq by way of epic chapters set in eighteenth century Europe, and in the masterful hands of international bestseller Raymond Khoury, The Sanctuary delivers the same rapid-fire suspense and provocative scholarship that made The Last Templar an international blockbuster. Acre, Latin Kingdom of Jerusalem, 1291: As the burning city falls to the Sultan's men, a lone galley escapes out to sea, carrying a young Templar knight called Martin of Carmaux, his mentor Aimard of Villiers, and a mysterious chest entrusted to them by the Order's dying Grand Master. The ship never reaches its destination. Present day, Manhattan: Four masked horsemen, dressed as Templar Knights, emerge from the darkness of Central Park and storm into the Metropolitan Museum, scattering the great and the good of Manhattan society who are there for the gala opening night of an exhibition of Vatican treasures. Caught in the brutal mayhem, desk-bound archaeologist Tess Chaykin watches in silent terror as the leader of the horsemen homes in on one piece in particular, a strange geared device. He utters a few cryptic words in Latin as he takes hold of the device with reverence before leading the horsemen out and disappearing into the urban nightscape of Manhattan. The FBI's investigation team is led by Sean Reilly, an anti-terrorist specialist as well as a practising Catholic, aided by his longtime partner Nick Aparo. They're joined by a Vatican envoy, the Monsignor De Angelis. As the horsemen's dead bodies start turning up, and as the importance of the stolen device becomes more and more apparent, Tess becomes more than a witness to the crime. She and Reilly get drawn into the dark, hidden history of the crusading Knights, and of the last surviving Templars' fateful journey from Acre to the pyres of Paris. 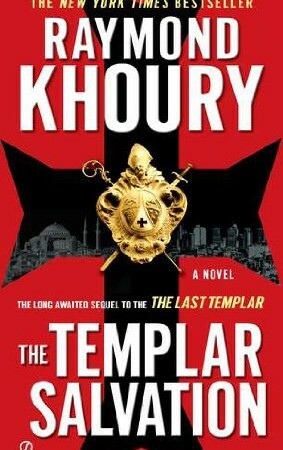 Tess and Reilly are soon facing the deadly forces battling to recover the lost secret of the Templars, and find themselves propelled into a dangerous adventure which takes them through the cemeteries and sewers of Manhattan, across continents to desolate Turkish mountains and remote Greek islands, through a Mediterranean storm of biblical proportions and into the very heart of the Vatican. With Tess fuelled by an unswerving commitment to scientific truth, the archaeologist and the FBI agent's nascent relationship comes under intense pressure, as with each disturbing revelation relating to the Templars' long lost legacy, Reilly is plunged deeper into a spiritual and professional conflict which ultimately leaves them with the troubling burden of their shocking discovery. 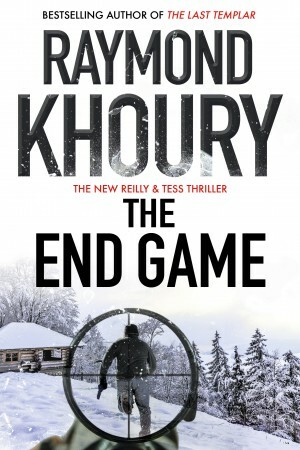 From New York Times bestselling authors Raymond Khoury and Steve Berry comes a unique and wildly original short story, available exclusively here on my website. Something’s afoot in London, England. American specialists have gone missing. Intel chatter points to a major terrorist plot in the works. And a sinister keyword links to both Reilly and Malone. The two agents are urgently despatched to London where they discover a plot that’s more personal, and more surprising, than they could have possibly imagined. It's like nothing you've read before.